Due to the private event the Manor is closed for public on Tuesday, July 10, 2018. You're most welcome to visit the Manor again on Wednesday, July 11, 2018. Due to the big private event the Manor is closed for public on Saturday, September 22, 2018. Due to the big private event the Manor is closed for public on Saturday, September 15, 2018. You're most welcome to visit the Manor again on Tuesday, September 18, 2018. Due to the big private event the Manor is closed for public on Tuesday, August 28, 2018. You're most welcome to visit the Manor again on Wednesday, August 29, 2018. Due to the big private event the Manor restaurant 8 Legs is closed for public on Friday, August 24, 2018. You're most welcome to visit the restaurant again on Wednesday, August 29, 2018. Due to the big private event the Manor is closed for public on Thursday, August 23, 2018. You're most welcome to visit the Manor again on Wednesday, August 29, 2018. Due to the private event the Manor is closed for public on Thursday, June 21, 2018. You're most welcome to visit the Manor again on Friday, June 22, 2018. Due to the big private event the Manor is closed for public on Thursday, September 13, 2018. You're most welcome to visit the Manor again on Friday, September 14, 2018. Due to the big private event the Manor is closed for public on Wednesday, September 12, 2018. You're most welcome to visit the Manor again on Friday, September 14, 2018. Due to the big private event the Manor is closed for public on Tuesday, September 11, 2018. You're most welcome to visit the Manor again on Friday, September 14, 2018. Due to the big private event the Manor is closed for public on Friday, August 17, 2018. You're most welcome to visit the Manor again on Tuesday, August 21, 2018. Due to the big private event the Manor is closed for public on Tuesday, June 19, 2018. You're most welcome to visit the Manor again on Wednesday, June 20, 2018. To celebrate this exciting concert we have created a special 3-course menu including a complimentary glass of house wine in Restaurant 8 Legs for only 27€ per person. The accommodation prices are for a double room per night and includes breakfast in Restaurant 8 Legs, use of the morning sauna (8-11 am), parking and VAT. Please be informed the Manor is closed for public on Tuesday, May 15, 2018. You're most welcome to visit the Manor again on Wednesday, May 16, 2018. Please be informed that the Manor is closed for public on Tuesday, May 8, 2018. You're most welcome to visit the Manor again on Wednesday, May 9, 2018. Due to the big private event the Manor is closed for public on Saturday, October 6, 2018. You're most welcome to visit the Manor again on Tuesday, October 9, 2018. Due to the big private event the Manor is closed for public on Saturday, September 1, 2018. You're most welcome to visit the Manor again on Tuesday, September 4, 2018. Due to a big private event at the Manor the accommodation is closed on Thursday, August 16, 2018. On Tuesday, August 21, 2018 we open accommodation again for all our guests. Restaurant 8 Legs is open as usual - 14:00-21:00. Due to the big private event the Manor is closed for public on Wednesday, August 8, 2018. You're most welcome to visit the Manor again on Thursday, August 9, 2018. Due to the big private event the Manor is closed for public on Sunday, August 5, 2018. You're most welcome to visit the Manor again on Tuesday, August 7, 2018. Due to the big private event the Manor is closed for public on Thursday, July 5, 2018. You're most welcome to visit the Manor again on Friday, July 6, 2018. Due to the big private event the Manor is closed for public on Friday, May 18, 2018. You're most welcome to visit the Manor again on Tuesday, May 22, 2018. Mother’s Day Brunch and Family Photo Session takes place at Kau Manor in Restaurant 8 Legs on May 13 at 14:00. 4:30pm Facebook game prize draw. The winner will receive a 3-course dinner including a bottle of house or Sparkling wine in Restaurant 8 Legs. We’ll also have special offers available on our New Vintage by Kriss gifts for ladies and a special price for sparkling wine. Fresh pea and ham soup, Kau Manor smoked salmon, Pork terrine, salted and smoked meats, French cheese platter, Tomato and mushroom bruschetta, Smoked chicken and apricot salad, Tomato mozzarella and basil salad, Duck and rice salad, Roast salmon, Wild garlic and dill sauce, Slow cooked pork, Caramelised apples, Cider cream sauce, Roast potatoes, Garlic and herb roasted vegetables. Passion fruit tart, Almond chocolate brownie, White chocolate and raspberry cheesecake, Fruit platter. A family event packed full of Activities for Children! Sunday 1st April is our annual Easter Brunch and Egg Hunt. Brunch starts at 2pm in Restaurant 8 Legs and will feature table magic from Kevinski, a Children's Easter Egg hunt and we'll also draw the winner of our upcoming Facebook game which takes place the week before the event. 3:30pm Facebook game prize draw. The winner will receive a 3-course dinner including a bottle of house or Sparkling wine in Restaurant 8 Legs. Also available is an entertainment room and a special offer on our House Wines. Due to the big private event the Manor is closed for public on Saturday, August 4, 2018. You're most welcome to visit the Manor again on Tuesday, August 7, 2018. Due to the big private event the Manor is closed for public on Friday, August 3, 2018. You're most welcome to visit the Manor again on Tuesday, August 7, 2018. Due to the big private event the Manor is closed for public on Saturday, August 25, 2018. You're most welcome to visit the Manor again on Wednesday, August 29, 2018. Due to the big private event the Manor is closed for public on Saturday, August 18, 2018. You're most welcome to visit the Manor again on Tuesday, August 21, 2018. Due to the big private event the Manor is closed for public on Saturday, August 11, 2018. You're most welcome to visit the Manor again on Tuesday, August 14, 2018. Due to the big private event the Manor is closed for public on Saturday, July 28, 2018. You're most welcome to visit the Manor again on Tuesday, July 31, 2018. Due to the big private event the Manor is closed for public on Friday, July 27, 2018. You're most welcome to visit the Manor again on Tuesday, July 31, 2018. Due to the big private event the Manor is closed for public on Friday, July 20, 2018. You're most welcome to visit the Manor again on Tuesday, July 24, 2018. Due to the big private event the Manor is closed for public on Wednesday, July 18, 2018. You're most welcome to visit the Manor again on Thursday, July 19, 2018. Due to the big private event the Manor is closed for public on Saturday, July 14, 2018. You're most welcome to visit the Manor again on Tuesday, July 17, 2018. Due to the big private event the Manor is closed for public on Saturday, July 7, 2018. You're most welcome to visit the Manor again on Tuesday, July 10, 2018. Due to the big private event the accommodation at the main house of the Manor is closed on Friday, June 15, 2018. Restaurant 8 Legs, as well as accommodation at the Coach House are available for all guests. Due to the big private event the Manor is closed for public on Friday, June 1, 2018. You're most welcome to visit the Manor again on Saturday, June 2, 2018. Due to the big private event the Manor is closed for public on Saturday, May 19, 2018. You're most welcome to visit the Manor again on Tuesday, May 22, 2018. Due to the big private event the Manor is closed for public on Saturday, May 5, 2018. You're most welcome to visit the Manor again on Wednesday, May 9, 2018. Due to the big private event the Manor is closed for public on Saturday, March 10, 2018. You're most welcome to visit the Manor again on Tuesday, March 13, 2018. Due to the big private event the Manor is closed for public on Friday, March 2, 2018. You're most welcome to visit the Manor again on Saturday, March 3, 2018. Due to the big private event the Manor is closed for public on Saturday, February 10, 2018. You're most welcome to visit the Manor again on Tuesday, February 13, 2018.
International Women’s Day – the perfect reason for a trip to the romantic Kau Manor. This day is dedicated to women and girls! On 8th of March the restaurant 8 Legs offers delicious 3-course meal with special price. The price includes a glass of sparkling wine; a glass of juice for children. 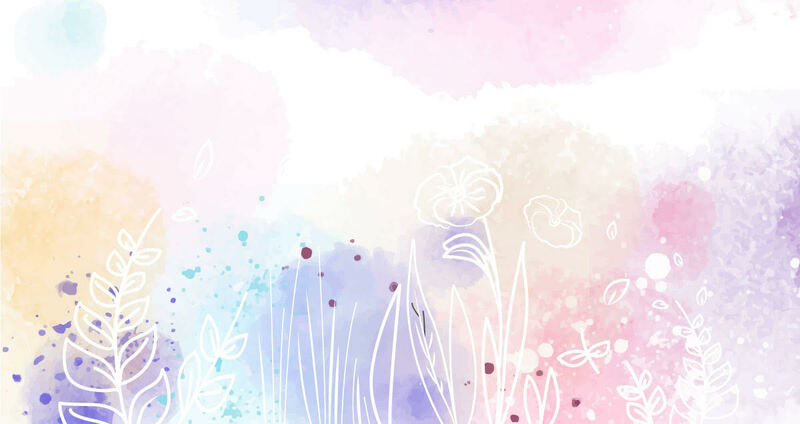 A surprise from Kau Manor for all girls and women! Dinner offer is valid only on 8.03.2018. Accommodation will be confirmed based on availability. Cancellation FOC up to 12:00 on the previous day. Late cancellation or no-show 100% of the room price is nonrefundable. Vive the Republic of Estonia! Restaurant 8 Legs offers a very special birthday menu on that important day. Especially created and designed menu will take you back in time, travelling through the last 100 years, having glimpse of tastes from the past until nowadays. 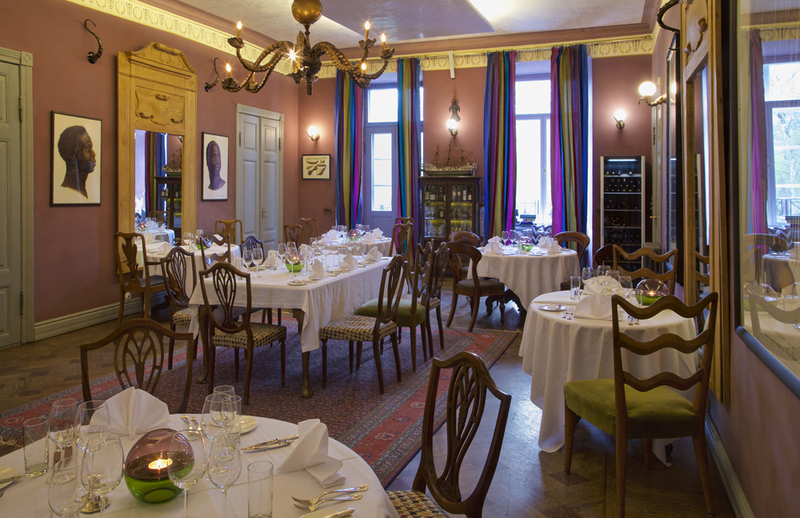 The festive EV100 dinner takes place in Kau Manor’s restaurant 8 Legs on the 24th of February at 19:00.
early check-in and late check-out, if possible. NB! A hint for the perfect day! 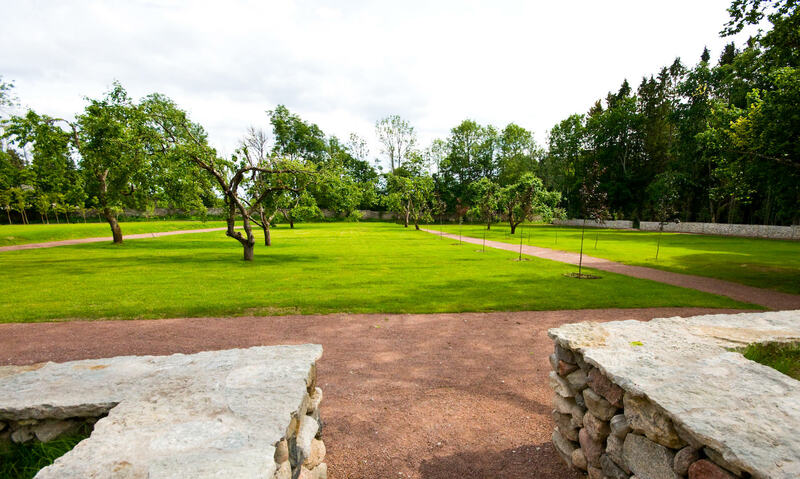 After hiking it is perfect time to arrive in Kau Manor and prepare yourself for the incredible evening. The dress code on the hike is blue-black-white! NB! Please don’t be late for the dinner! The special menu and the offer is valid only on 24.02.2018. Not only a day, but the whole week is for celebrating friendship in Kau Manor. The price includes a glass of house wine. A sweet surprise from Kau Manor! NB! Perfect idea for celebrating Valentine’s Day with friends! 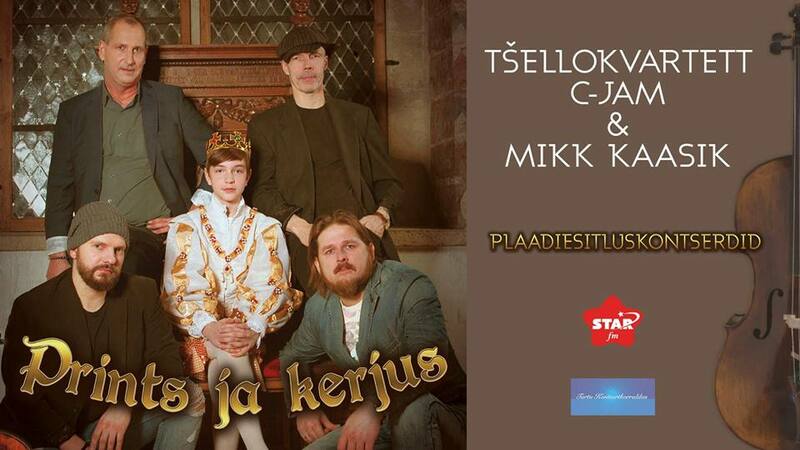 15.02.2018 at 19:00 Tõnis Mägi & Jarek Kasar Valentine’s Day concert in nearby Virla Siidrifarm (just 5 km from Kau Manor). Come with friends to the concert and get the accommodation with breakfast and relaxing morning sauna/indoor pool in Kau Manor with very friendly rates! 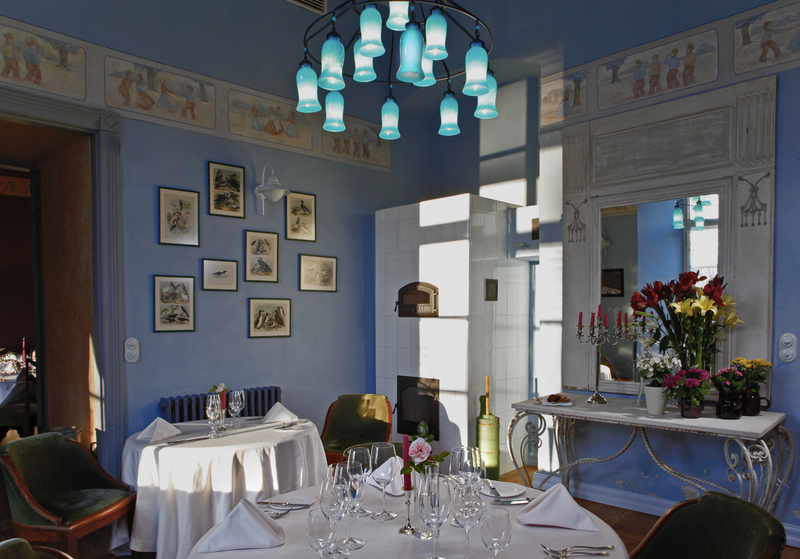 Come earlier to enjoy the 3-course special meal with glass of house wine in the restaurant 8 Legs for 35€ per person. Sweet surprises from Kau manor! The restaurant will be open at already from 14:00! Dinner offer is valid only on Valentine’s Week 13. – 17.02.2018. Due to a big private event at the Manor the accommodation is closed on January 20, 2018 (Saturday). On Tuesday, January 23, 2018 we open accommodation again for all our guests.